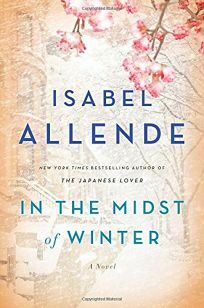 This week: Isabel Allende's new novel, plus what we think about when we think about soccer. Alarcón (At Night We Walk In Circles) delivers a superb collection of 10 stories about wanderers, lovers, and fractured families. The fiery “The Ballad of Rocky Rontal” fictionalizes the true story of a violent gang member’s tenuous emotional journey toward forgiveness, while “The Provincials” follows the voyage of a father and son to the father’s hometown to address the postmortem details of an estranged relative. Bereavement also drives “The Bridge,” which places Alarcón’s protagonist, named executor of the estate of his recently deceased uncle and aunt, in the center of a mystery, sifting through family stories and conflicting claims to find the truth behind the couple’s deaths. In the powerful “The Auroras,” a man fleeing from his wife and academic life falls for a married woman and slowly yields to her power, and “República and Grau” pairs a child with a blind beggar who hopes to scam locals for loose change. Throughout the collection, Alarcón writes with a spellbinding voice and creates a striking cast of characters. Each narrative lands masterfully and memorably, showcasing Alarcón’s immense talent. Grief and loss are transformed into a healing friendship in this fantastic novel from Allende (Zorro). 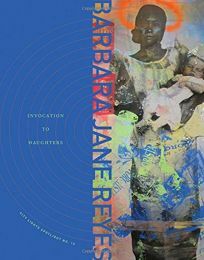 Sixty-year-old scholar Richard Bowmaster and his coworker and tenant, 62-year-old Lucia Maraz, who is a visiting professor at NYU, are faced with a shocking dilemma when a young Guatemalan refugee enters their lives. 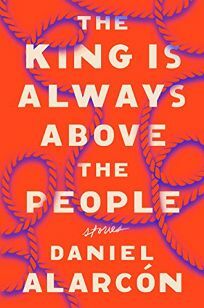 Set primarily in Brooklyn and upstate New York, the book opens with a minor car collision between Richard and Evelyn Ortega—an undocumented immigrant working for an overbearing employer. Shaken and terrified because she borrowed her employer’s Lexus without his permission, Evelyn comes to Richard’s apartment. Unable to calm her, Richard solicits Lucia to come help and, with a snowstorm raging outside, the three nibble on pot brownies and share stories: Evelyn’s harrowing, tortured childhood at the hands of the MS-13 gang, Lucia’s youth amid the violence of the 1973 Chilean coup. Upon sobering up, Evelyn explains that she cannot return the Lexus, and that there is a dead body in the trunk, presumably murdered by her employer. Richard, having grown up hearing of his father’s escape from the Nazis, has “the idea etched on his mind that to help the persecuted is an inescapable duty.” With the threat that Evelyn could be deported if they notify the authorities, the three quickly plan to dispose of the body in upstate New York, launching a suspenseful, icy adventure. Filled with Allende’s signature lyricism and ingenious plotting, the book delves wonderfully into what it means to respect, protect, and love. Nearly a decade in the making, this immense two-volume retrospective painstakingly edited by West, associate professor of English at Mississippi State, “aims to offer authoritative texts” of every published poem by the prolific and illustrious Archie Randolph Ammons (1926–2001). 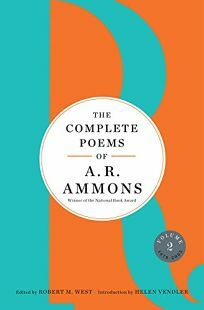 In her introduction, Helen Vendler notes that Ammons “defined himself explicitly as an American poet writing of American places and American people.” His early poems were marked by scientific obsession, not surprising in the context of postwar America, but quite different from his late-’50s contemporaries, the beats and confessional poets. Ammons gradually turned towards matters of feeling and experience, but he remained ever attuned to the cycles and processes of nature. He was also a colloquial poet, which should not be confused with an anti-intellectual one. In the manner of William Carlos Williams, Ammons raised the American vernacular to the level of art. In Vendler’s estimation, Ammons’s work exhibits “constant humorous intimacy in everyday language.” The jovial or irreverent abuts the serious and earnest: “the weaving thermal gaze of/ the viper for the small mammal, mama/ mia.” Idiosyncratic punctuation, particularly an affinity for the colon, allows threads, however thin, to connect disparate ideas. Though Ammons produced many short poems, he was best known for his almost diaristic book-length poems such as The Snow Poems, Tape for the Turn of the Year, and Garbage: “garbage has to be the poem of our time because/ garbage is spiritual.” West rounds out this monumental body of work with 127 published but previously uncollected poems. Ammons “insouciantly filled up his page any way he liked,” writes Vendler, and West beautifully reproduces it all here. Crane (Aspects of Psychologism), a British philosopher of the mind who’s known for his essays on perception and consciousness, veers in a new direction in this valuable and compact contribution to the dialogue between atheists and believers. 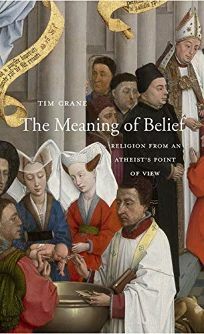 Crane writes as an atheist to an atheist audience in hopes of reducing the combativeness stirred up by “New Atheists” such as Christopher Hitchens and Richard Dawkins, but he also provides useful language for religionists about their own experiences. By identifying the religious experience in terms of “religious impulse” and “identification” linked under a canopy of the sacred, Crane situates religious belief as complexly human, rather than something that should die with the advent of science. Tolerance with a goal of living peaceably with religionists should be the atheist aim, argues Crane. Crane’s precise arguments, lucid writing, and astutely selected examples make this book enjoyable as well as clarifying. His concise unpacking of religion and violence in the context of war, as well as of the nitty-gritty of moral relativism, provides a vital lens for interpreting today’s politics. In this irresistible treatise on how soccer came to be the dominant sport around the globe, Critchley (The Book of Dead Philosophers) weds insights gleaned from a career studying Continental philosophers to his observations and experiences of soccer managers, players, fans, and even his own family. He ties the sport to politics by beginning with a chapter titled “Socialism” before going on to establish what he calls a “poetics of soccer.” He writes, “What is taking place in an organized team is a never-ceasing dialectic between the associative, collective activity of the group and the supportive, flourishing individual actions of the team.” Critchley’s depth and range of knowledge is remarkable. As his protagonists, he uses philosopher Martin Heidegger and Liverpool manager Jurgen Klopp, men both obsessed with “the moment” and the movement of history through “situations” (terms used in Heidegger’s writing). Critchley addresses head-on the “contradiction between the form of football, as association, socialism, and collective praxis, and the material content of the game, which is money, in its most excessive and grotesque manifestations.” For him, this contradiction creates a philosophical conundrum: How can world soccer be dominated by the fans and the oligarchs at the same time? 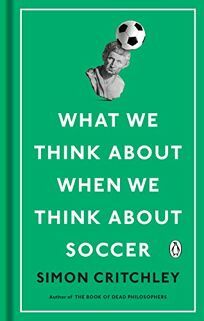 Critchley’s incisive philosophical meditation will help readers rethink their relationship to soccer. Set in 1920, Ellicott’s spectacular series launch reunites two old schoolmates in the U.K. When forthright American Beryl Helliwell, who attributes her youthful appearance to a “love of quality gin and an adamant refusal to bear children to any of her ex-husbands,” spots the ad for a lodger placed by her friend Edwina Davenport, a proper Englishwoman who has run short of funds, she can’t believe her luck. 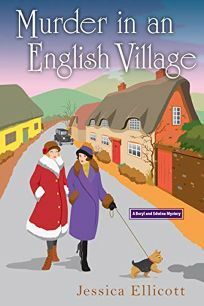 Retiring to the quiet hamlet of Walmsley Parva is just the reprieve Beryl wants from her madcap life, as well as from Prohibition back in America. Beryl surprises Edwina by crashing her car into one of the stone pillars flanking the drive to Edwina’s house. Soon after Beryl settles in, someone attacks Edwina while she’s walking her dog in her garden. After the friends discover a young woman’s body in a field, they take it upon themselves to fill the gaps left by the local constable’s inadequate investigation. Reflections on the changes in post-WWI society lend substance to this light mystery. Ellicott is a pen name of Jessica Estevao, author of the Change of Fortune series (Whispers Beyond the Veil, etc.). The struggle to cure a cruel and increasingly common disease leads down intricate pathways of scientific discovery in this fascinating primer. Neuroscientist Jebelli recalls his grandfather’s decline from Alzheimer’s disease and meets other victims of the neurodegenerative illness, projected to become the second leading cause of death by 2050. He describes Alzheimer’s progression from forgetfulness to a loss of personality and inability to recognize family members to comprehensive mental failure, with sufferers unable to speak or even swallow. 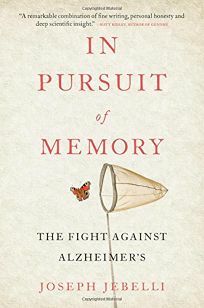 But the book’s heart is his account of scientists’ efforts to understand Alzheimer’s, from its mysterious telltale clusters of beta-amyloid protein to its hereditary underpinnings. In addition to specialists, Jebelli visits families whose tragically high rates of Alzheimer’s led to the identification of genetic mutations that cause the disease. The saga is full of hopeful—and frustrating—turns as ingenious new research suggests potential treatments that prove effective in mice but disappointing in humans. One promising, if ghoulish, approach is to transfuse plasma from young people into old, which seems to have remarkable restorative effects; alas, there’s too little young blood available to treat most Alzheimer’s cases. Jebelli’s exploration of the vexed science of Alzheimer’s is lucid and emotionally rich in its portrayal of those who investigate the illness and those who endure it. 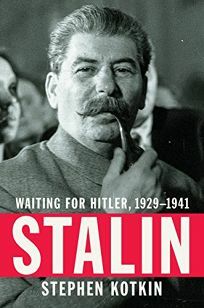 Kotkin, a professor of history at Princeton, follows Stalin: Paradoxes of Power, 1878–1928 with a magisterial second entry in this multivolume biography. He integrates a massive body of newly available documents with extant scholarship, comprehensively detailing the development of the U.S.S.R. and the nature of Stalin’s rule. Stalin’s commitments to reshaping Eurasia into a multinational communist empire and reconstructing Russia as an industrial socialist society necessitated a synergy of foresight and micromanagement, Kotkin writes. The fundamental challenge faced by the Soviets, initially posed by global capitalism and later embodied by Hitler’s Third Reich, required not merely a dictator, posits Kotkin, but a despot. That despotism began with agricultural collectivization in the early 1930s and advanced during the mass terror of 1936–1938, shaping the U.S.S.R. into a warfare state “unprecedented for even a military-first country.” Kotkin addresses crucial subjects that remain contentious: he presents the famine of 1931–1933 as a result of Stalin’s “magical thinking” rather than a deliberate campaign of rural genocide and interprets the great terror as “a matter of statecraft” necessary for Soviet survival in the total war Stalin sought to avoid. Stalin’s obsession with Nazi power resulted in policies of “deterrence as well as accommodation”—and generated miscalculation leading to war. Kotkin’s account is a hefty challenge, but an eminently worthwhile one. On a rocky, remote private island in a Swedish archipelago, 70-year-old Fredrik Welin wakes to a searing light. He stumbles outside, recovering only a raincoat and two left boots on the way, and watches helplessly as his house burns to its foundations. This final novel from Mankell (the Kurt Wallander series), posthumously published in a stunning English translation, questions what happens to a person who has lost everything—and who considers himself too old to rebuild. 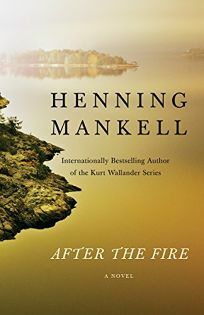 Fredrik hardly has time to grieve the memories that burned along with the house’s contents; when investigators arrive to inspect the smoking ruins, they discover clear signs of arson. Could it be insurance fraud? Or does the responsibility lie with one of Fredrik’s neighbors, whom he’s known for years and who showed up in their boats to battle the flames? And how will Fredrik’s daughter—pregnant and harboring secrets of her own—react to the loss of her inheritance? Mankell’s understated yet thrilling use of language brings both the rugged scenery and Fredrik’s deep-rooted loneliness to life. It’s a skillfully told, exquisitely structured story filled with sharp insights into human nature and unflinching examinations of the complex relationships to which people bind themselves in order to feel a little bit less alone. 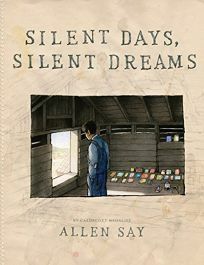 Say (The Inker’s Shadow) tells the haunting story of outsider artist James Castle, a deaf and autistic man whose talent was not recognized until late in his life. Narrating in the voice of Castle’s nephew, Say describes how Castle was born in 1899 into an Idaho farm family with no resources to help their son. He never learned to speak or read; when upset, he shrieked uncontrollably. But he found consolation in drawing and made some 15,000 pictures, often with soot and sharpened sticks after teachers confiscated his drawing materials. Drawings done in the style of Castle accompany the story—blocky, sometimes surreal human figures and houses—and Say also supplies pen-and-ink vignettes and anguished charcoal portraits of the bullying the man endured throughout his life.. After living alone in outbuildings on family properties for decades, Castle at last came to the attention of local artists and gained some financial security. 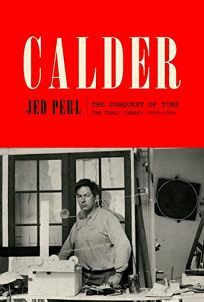 Say’s moving portrait of Castle’s work and life (“I think he was happy,” he concludes) pays tribute to a man who was compelled to create despite the torments he underwent. Ages 8–12. 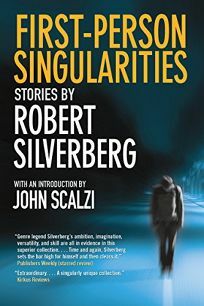 Genre legend Silverberg’s ambition, imagination, versatility, and skill are all in evidence in this superior collection of 18 thought-provoking first-person short stories, which were written over five decades. Time and again, Silverberg sets the bar high for himself and then clears it, as in a tale told from the perspective of an English-speaking dolphin who has developed feelings for a human woman (“Ishmael in Love”) and another in which an alien crablike creature, disguised as a human, is dismayed to find that he’s an object of attraction for a persistent neighbor (“The Reality Trip”). He riffs on Joseph Conrad in “The Secret Sharer,” which features a very different kind of stowaway. He also cleverly anticipated Jurassic Park in “Our Lady of the Sauropods,” an 1980 story in which DNA has been used to bring dinosaurs back to life, with very different consequences from those that Michael Crichton imagined. Silverberg’s creative story premises are matched by a remarkable ability to make his characters sympathetic, whether human or not. This fine retrospective collection is worth any SF reader’s time. Set a year after the end of WWI, this compelling debut places imaginative 12-year-old narrator Henrietta “Hen” Abbott in an impossible situation. 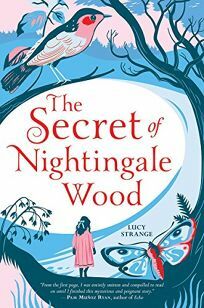 After the death of Hen’s brother, her father moves the family from London to the countryside, only to depart to the continent for work, leaving Hen’s mother struggling with mental illness and cared for by a sinister doctor. “Suddenly I felt dangerously alone,” Hen recounts. “Mama was ill and drugged. Father was not here. Doctor Hardy thought I was going mad, and Nanny Jane had become his spy.” She finds solace in the woods and meets a supposed witch (whom she dubs Moth) living in a caravan. The mystery surrounding this woman becomes a central thread, and her character extends needed kindness to Hen, supporting her efforts to save her family. Strange effectively weaves in fairy tales, poetry, and themes common to classic children’s literature, reflecting Hen’s love of books. A brave heroine propels this strong and richly layered novel, a memorable portrait of grief, resilience, and rebirth. Ages 8–12. First in a series, Townsend’s spellbinding debut introduces Morrigan Crow, a cursed girl from the Wintersea Republic, who brings bad luck to everyone she meets and is destined to die at midnight on her 11th birthday. The Hunt of Smoke and Shadow, a terrifying shadowy entity, is poised to kill Morrigan when a mysterious man named Jupiter North spirits her away to Nevermoor, an independent, magically warded city where the Hunt cannot travel. Jupiter belongs to the elite group called the Wundrous Society, and he wants to sponsor Morrigan’s membership. 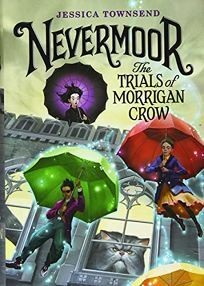 She doubts that she will pass the four entrance trials—particularly since she’ll be battling 500 singularly talented children for one of nine available spots—but she agrees to try: without Society membership, the Nevermoor police will deport Morrigan back to Wintersea, where the Hunt is waiting. Morrigan is a captivating heroine, filled with moxie and wit, whose unexpected second chance at life gives her the opportunity to discover who she truly is. Whimsical worldbuilding, humorous dialogue, and colorful supporting characters complement an adventurous, magic-filled plot that champions bravery, self-confidence, and hope. Ages 8–12.